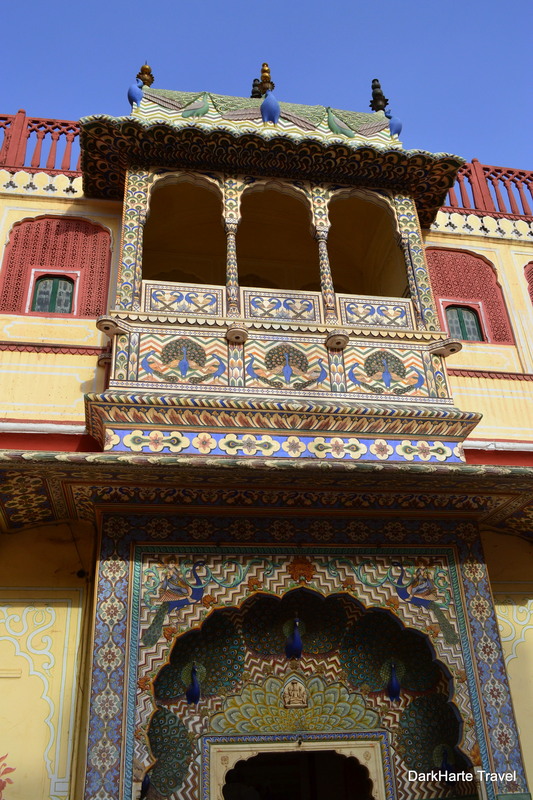 The City Palace in Jaipur is an exquisite maharaja’s palace. I wandered around the complex amazed that each section seemed even more impressive than the last. 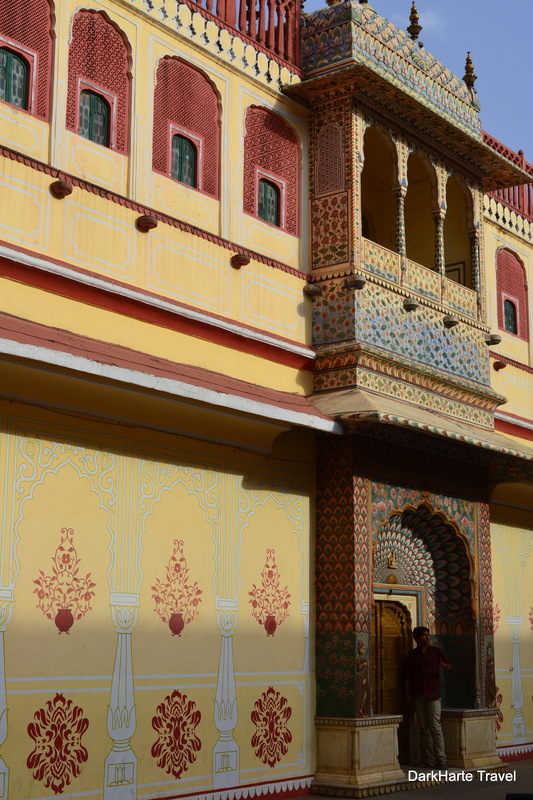 Built in the 18th Century for the Maharaja of Jaipur, the palace is still a royal residence today. 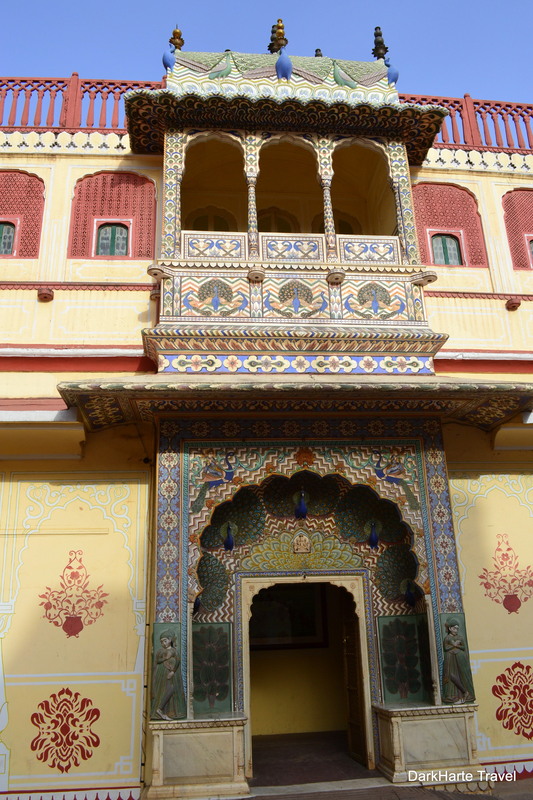 In an inner courtyard called Pritam Niwas Chowk, there are four doorways in the walls. 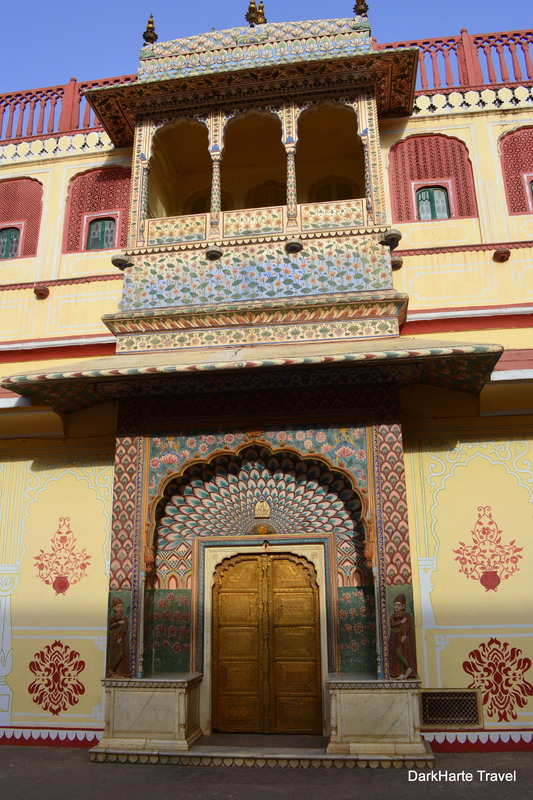 Each of these doors is unique in its design and decoration, and beautiful to behold. 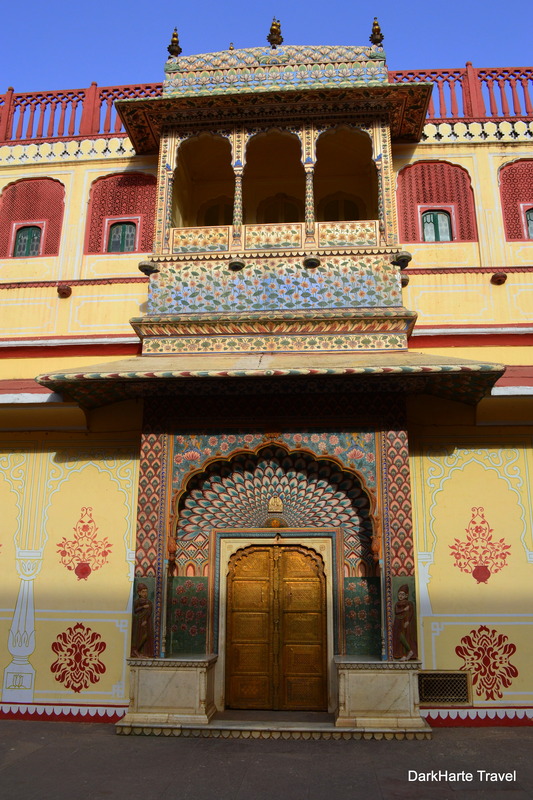 The four doors represent the seasons and different Hindu gods. The Peacock gate is dedicated to Lord Vishnu and represents autumn. 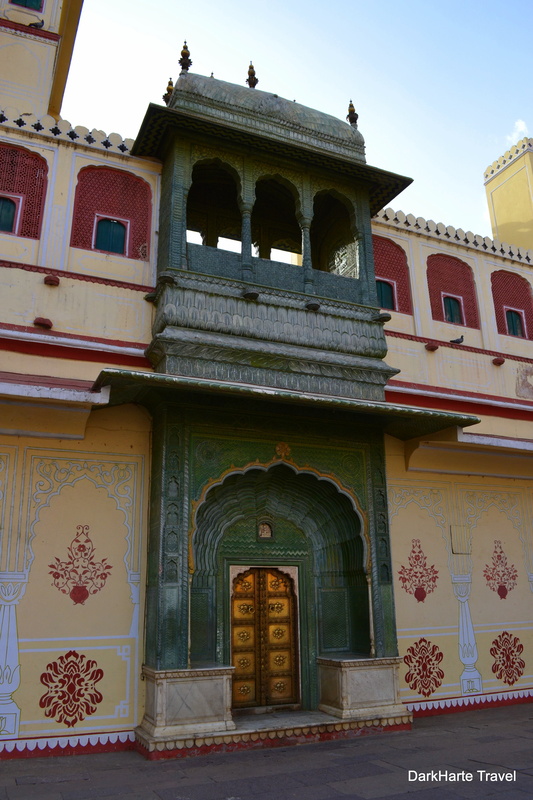 The Rose Gate represents winter and is dedicated to the goddess Devi. 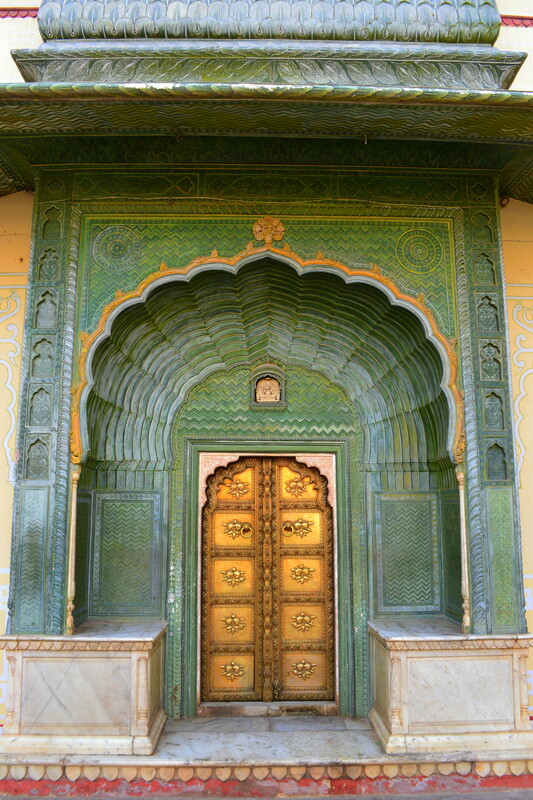 The Green gate, representing Spring, is dedicated to Lord Ganesha. 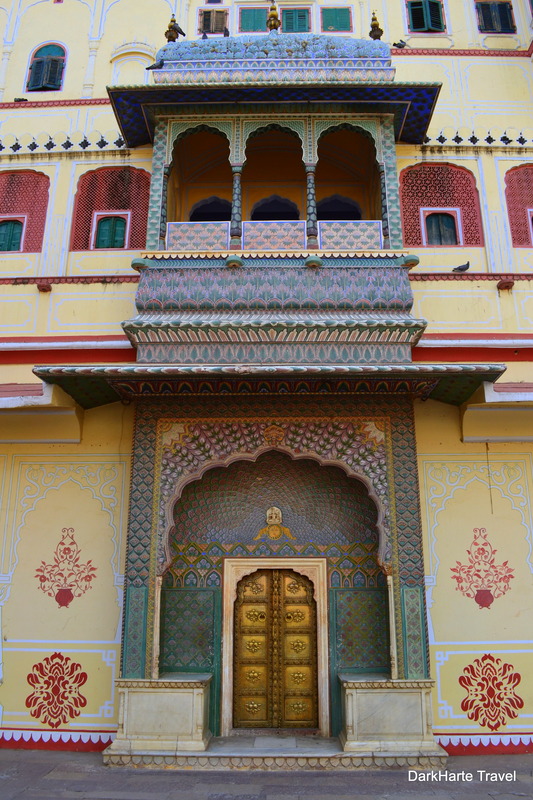 The Southwest Lotus Gate, dedicated to Shiva and Parvati, represents the summer season. Here you can see the doors laid out in the inner courtyard. 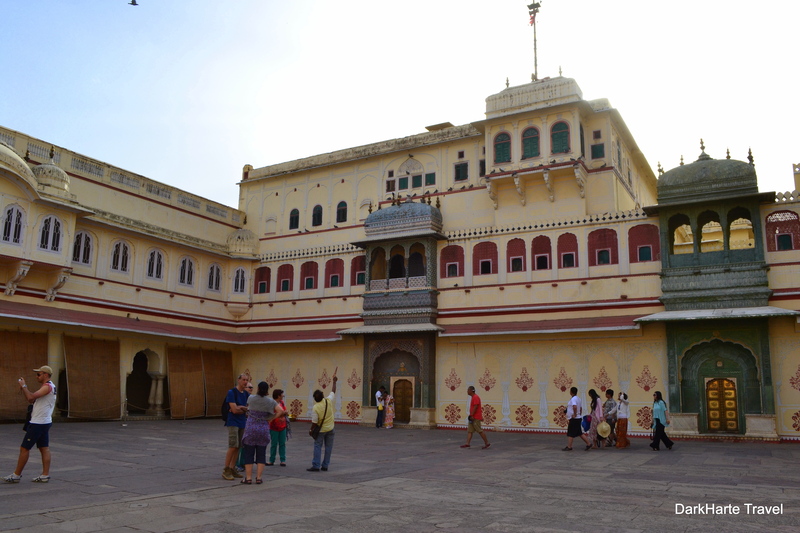 Above the courtyard stands the imposing Chandra Mahal, the Maharaja’s residence. 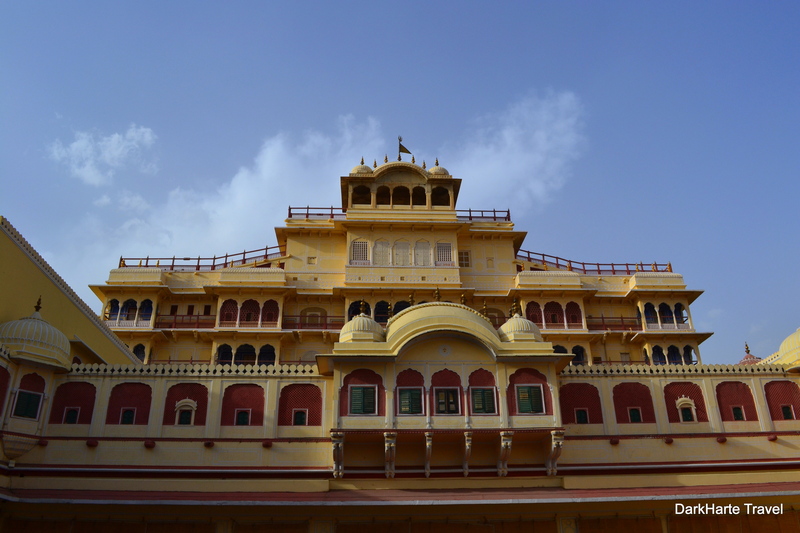 Mahal means ‘palace’ in Hindi and Urdu. 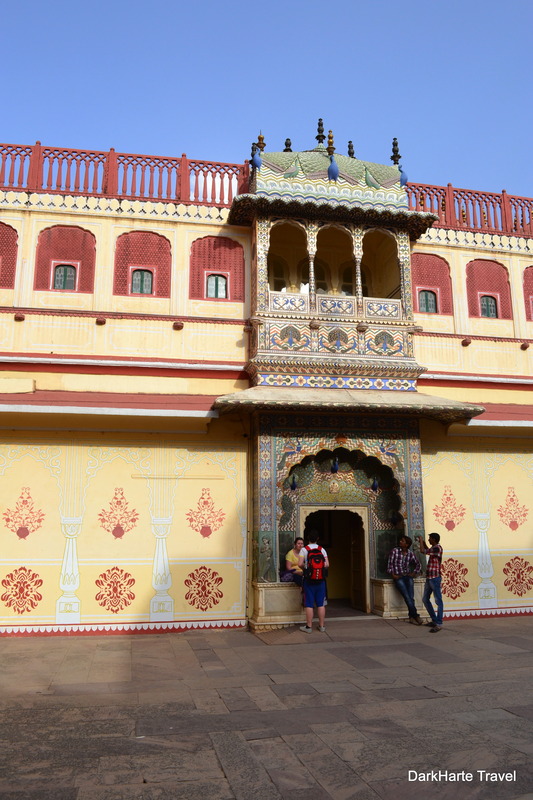 Chandra Mahal. The flag flies when the royal family is in residence. 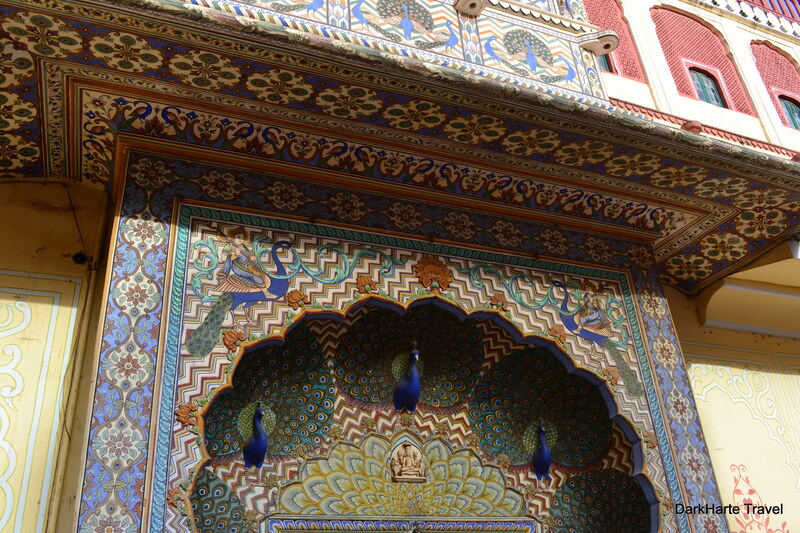 A close-up of the amazing Peacock Gate, dedicated to Lord Vishnu.